Hello all, Cecilia here, popping in with some meta. 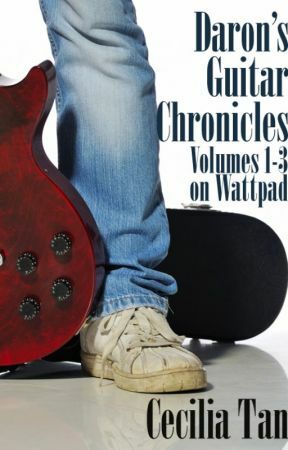 Thanks for reading Daron&apos;s Guitar Chronicles and I hope you&apos;re enjoying that new chapters are flowing here on Wattpad, plus I am back to posting twice a week at the DGC site! A couple of notes about recent chapters that you might find of interest. I played fast and loose with a couple of dates and live shows and I should come clean about that. 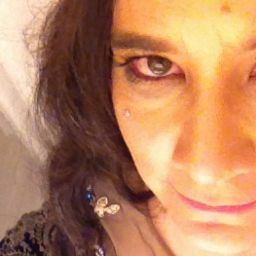 First, apologies to Treat Her Right/Morphine for using them as a prop here. See, here&apos;s the thing. My roommate Mac and I went to a show one night at Venus de Milo. We had gone there to dance, I think, and didn&apos;t know there was going to be a surprise show. He and I moved in together in 1990 so technically that was a year after when the scene with Daron and Jonathan takes place at Venus. So I transposed the show a year earlier. The really fudgy part is that I don&apos;t know what band we saw. It was someone well-known locally who had a national breakout of some kind in the offing. I remember guitars. I don&apos;t remember much else. It&apos;s possible we never found out who it was, or that I just forgot. I decided to make it into Morphine because that would fit the time frame and is my best guess for the type of band it was. I don&apos;t think it was the Del Fuegos, or No Man, or Scruffy the Cat. I don&apos;t think it was some J. Mascis production–I don&apos;t think it was Buffalo Tom. I just plain don&apos;t remember now. And of course there&apos;s nothing Googlable about it. The other transplant in time I made is the Basque/Garmarna show at the Middle East. In reality, the show was at the Middle East downstairs, not upstairs, in 1994. Both are real bands and the show really happened as described, just a few years later than depicted here. Hi-Fi Pizza, on the other hand, was exactly as depicted in real time. 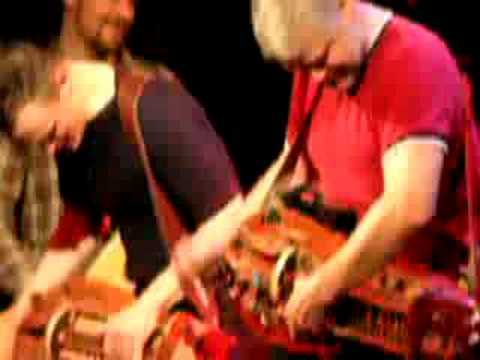 And Garmarna really is Swedish murder ballads rocking out with the hurdy gurdy. Several readers have commented or written about the scene where Carynne forces Daron to go to see a doctor. I used to live around the corner from the medical center they visit. And in those days it really was sort of dicey as to whether you&apos;d keep your insurance if you tested positive. My doctor gave me the same speech Daron gets, only he really convinced me to go get an anonymous test. So I went down to the Fenway Community Health Center (which is still there, by the way) and got tested, and then had to go back and get the results on a different day. I wasn&apos;t even engaged in risky behavior (...much...) at the time, but the anxiety the whole scenario created was very real. Anyway, my earnest young tester was then like, "Okay, sorry to keep you in suspense. You&apos;re clean." And now a couple of reminders about the Daron&apos;s Guitar Chronicle&apos;s site. 2) Lots of readers discover us through Top Web Fiction. Your votes every week are important to keep us in the standings! Click up to once a day! Voting link on the DGC site. You can also vote for each chapter here on Wattpad. Every vote helps in some way! 3) Amazon reviews definitely help move the ebooks which then bring people to the site when they run out. customer, consider praising the ebooks by going to Amazon and reviewing. All of the above are great ways to support the site/books that require no money. And now back to our regularly scheduled story posts in Book 6 here on Wattpad!